Pitched to readers as an extraordinary, controversial and explosive debut, Good Me, Bad Me by Ali Land is a psychological suspense novel with an exciting premise. Annie's mother is a serial killer and the only way she can stop her mother from killing is to go to the police. Her mother is arrested and Annie begins a new life as Milly while awaiting her mother's trial for multiple counts of murder. Will Milly end up like her mother or will she break free from the cycle of violence? It's an excellent premise and concept for a crime novel and when I read the blurb for the first time it sounded entirely fresh and I was excited to read it. Unfortunately for me it didn't quite deliver. The beginning of the novel started off with a bang and I was instantly drawn in, but it just didn't maintain the heightened level of engagement, although I'm not entirely sure why. Perhaps the novel needed to begin a week prior to Annie going to the police in order to experience the horrors she went through and for the reader to feel just how much of a menace her mother was. Perhaps the novel didn't go deep enough or wasn't dark enough. The relationship Milly develops with her new foster sister was absolutely fascinating and I would have enjoyed exploring that a little further and a little deeper. This relationship created more menace and suspense than the relationship with Milly's mother which should have been the driver for the novel. 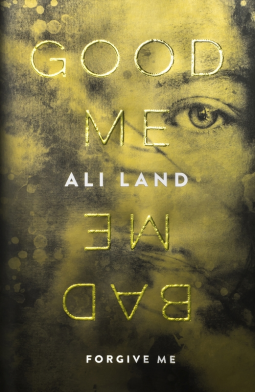 Overall, Good Me, Bad Me by Ali Land is a good read and I'm confident it'll be enjoyed by many crime fans in the months ahead.